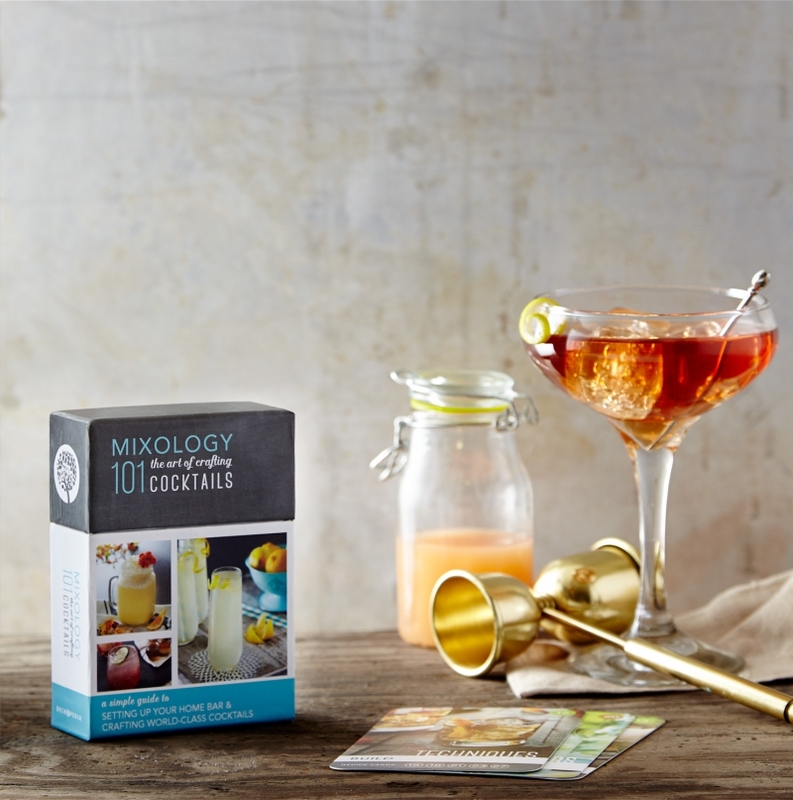 Deckopedia’s new Cocktail Series celebrates the art of the cocktail and includes three delicious and intoxicating titles–Mixology 101: The Art of Crafting Cocktails; International Mixology; and Cheers! Just Because: A Collection of 50 Mood-Inspired Cocktail Recipes. Behind the bar is author Matt Seiter, a master mixologist, bartender and industry historian. The unique format is a lifestyle enhancer: each deck is 4.6 by 3 inches, about the size of a deck of tarot cards. Use them as a shopping list. Bring them along to the liquor store. Make parties more fun by displaying the cards and asking guest to order the cocktail that best suits their mood. The three decks are priced at $19.95 each or as a set for $49.95. Deckopedia decks are available at http://www.deckopedia.com.